@wrwlumpy Except Cal. When he hurt Bol Bol’s feelings lol. Don’t know anything about him but I kind of hope he gets out of Chicago. If he’s tempted by gang life CSU isn’t the place for him. It’s right in the middle of the south side where he lives currently. Taking a prep school year instead now. @JayHawkFanToo I don’t care what our recruits or theirs do at the all star game. We need our recruits to come to KU and perform extremely well. Other than Josh we have not had much luck or production from the so called top dogs lately. Just hope they all stay healthy and injury free and TROUBLE FREE. If we can get Romeo, that would give us five top 40 kids next year. (Silvio). If they all keep their heads on straight and perform to their hype, we should be in great shape with them added to our transfers. Good points. This is the way Mario ended up in the NBA where he had to learn to be a PG; however, he had a much, much better resume and stats than Newman playing SG. Oklahoma state can’t buy a basket. I guarantee they will shoot well when we play them in Stillwater though. Not One But TWO 5* PGs In The Same Class???! My post on the Marquette 247 forum is “pending approval”. LOL. It would be two great classes in a row. @BShark There is a slight difference, apparently, in their interpretation of religious principles. So far as I know, athletes at GCU have not perpetrated over 50 rapes, or killed teammates, with coaches and administrators covering it up. I hear ya bro. When is the last time we have had a number one class? How Does KU Field a Team?? 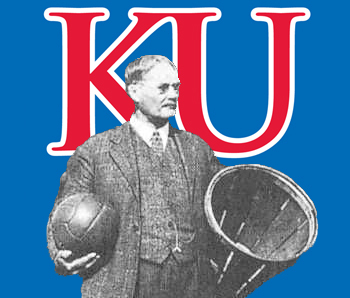 He predicts Zion to KU. If he gets that correct then I’ll give him a pass. @approxinfinity Very well could be. - - -I am just not sure , I have to agree you would think he is more fluid then that. - -This is one reason I wonder how he really going to fit in at the next level - -NBA. - - If he is like this in the NBA they will eat him alive - -this is where like people say , I think this is what plays a part of people saying he is still raw. I think it gets to a point like we have all heard , he would be so much better if he just went out and played - -quit thinking so much - -quit overthinking - -just go play - have fun - - do what you do best -relax. It’s like a lot of times he is trying to dissect each play - -each move - -overthinks like ok - is this the right way.- So ya could be they are hammering him in practice - -after awhile it gets to a point where you start thinking more about making a mistake then just going out and PLAY - I fully believe he will be fine - - I mean in reality - -with the injury from last year - like starting all over again in game time conditions. Morgantown is not for sissies; this much WE know now. This class is shaping up to be one of Bill’s best. Love the combination of OAD types (Grimes, maybe Langford/Zion) plus program builders that won’t leave us scrambling for guys over the next few years. Bill’s more experienced teams tend to be the better ones anyway, so I could see a run like we had from 07-12 coming. 18 + 19 has the chance to be a very special 2 class combination. Self can afford to be very choosy in the 19 class where KU seems to be quite well positioned. For sure. 19 is going to be a supplemental year. Go get JRE, Lawson, and Harvey first since they could be fish in a barrel type recruits. And you already have Jacobs, so that’s 4. Then shoot for an elite wing to replace whoever is at that spot next season.